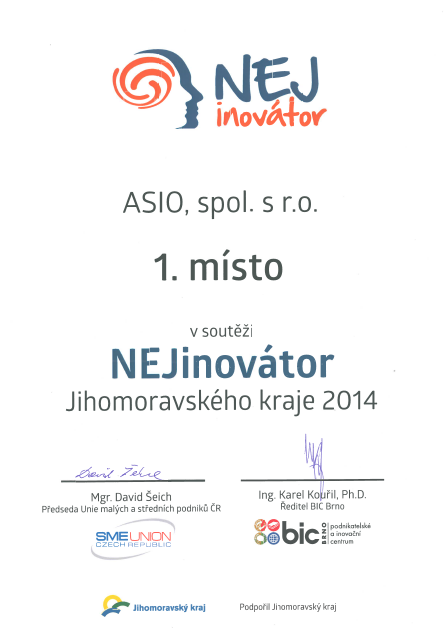 ASIO is an innovative company : ASIO, spol. s r.o. Although this statement has been regularly heard in the introductions of our seminars, now we have this fact confirmed and even awarded. 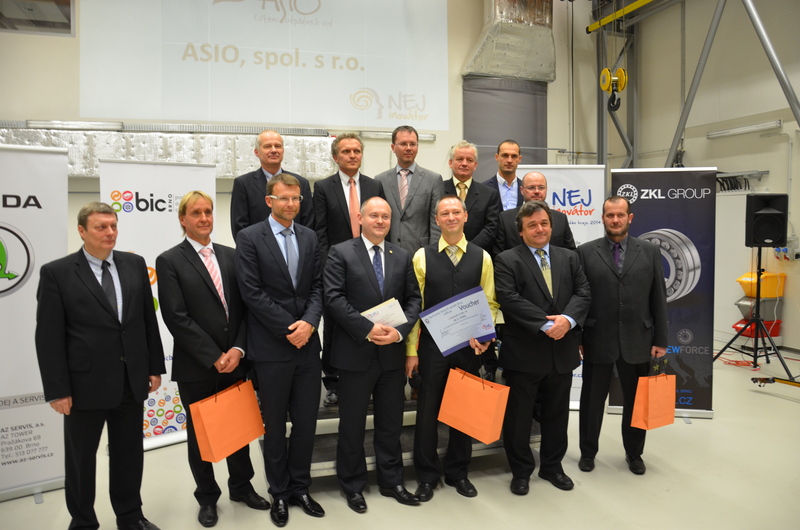 In Kuřim, at the INTEMAC Competence Centre, a ceremonial announcement of the competition for the Best Innovator of the South Moravian Region for 2014 took place. 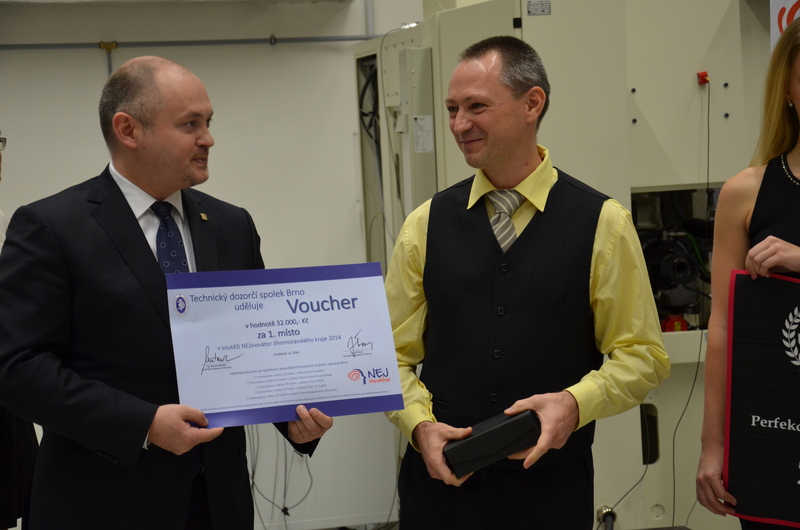 We had the opportunity to receive the first prize from the hands of the Regional Governor. We are highly honoured for this award and we understand it as a feedback to our effort for the creation of a functional system producing continuous incentives for new products and technologies. In the audit connected with the competition, ASIO proved both creations of valuable proposals and, in the first place, mechanisms supporting their implementations to practical use. On the other hand, the more we push for the close connection of the research and practical use, the more topics for solving we are able to identify, in both technical as well as organisational spheres … so there is still a large potential for improvements, which is good news for both us and our customers. Начална страница | Карта на сайта | Контакти | Версия на Чешки език copyright © 2011-2019 ASIO, spol. s r.o.